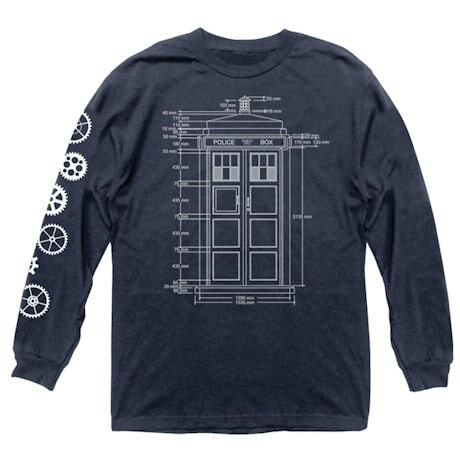 Specs for the TARDIS are drawn on the front; gears adorn the right sleeve. Excellent for true fans. 100% cotton. Machine wash. Imported. M-XXL.